that doesn’t rhyme. “ I do a D.J. gig every week; I have the opportunity to play four different albums: one that is ‘old’ (to my mind, anything pre-1985), something ‘new’ (released brand-new that week); something influential (and has inspired a genre/other acts)- in addition to dealer’s choice (any album I choose). Having done this for over a year-and played everything from Graceland to Pearl Jam; from FKA twigs to Beastie Boys- it is enormous fun. I get to talk to people (about music); play some awesome stuff- turn people on to some great/forgotten sounds (well, I try to). I shall publish this every week; try and highlight some fantastic albums- maybe some you had forgotten about. Some weeks are filled with great releases and plenty of choice: unfortunately the last couple of weeks have been a bit slender. Not familiar with Frank Turner, I snapped up his new L.P.: keen to see what his drive was; I was pleasantly surprised. Garnering mixed reviews (thus far) the album Positive Songs for Negative People sees the Springsteen-esque talent- a songwriter who can pen real-life anthems without seeming overly-cloying- come to the fore. Tape Deck Heart (Turner’s 2013 album) was a product of perfectionism and craft; here he sounds looser and more urgent. Whilst his lyrics border on the cringe-worthy- he is not quite a Chad Kroeger/Matt Bellamy creation- his bombast and passion make up for it. Get Better is a proclamation of anger: the hero comes back from the brink; battered by the pain of break-up, it treads familiar lines- yet the way Turner delivers his fury stands him apart from the clan of effete peers. Sometimes the 33-year-old’s throat-scraping vocals get irksome, yet it is his authenticity that makes up for it: whatever you think of Turner the Man, you cannot deny Turner the Musician- Positive Songs’ is the sound of him exorcising his (relationship) demons- and doing a damn fine job of it. 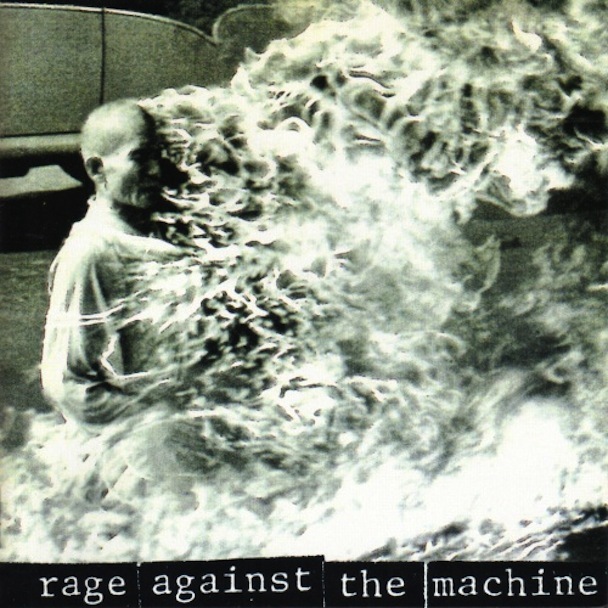 Few bands have arrived this hot off the blocks- for a debut album; Rage Against the Machine is an audacious work of genius. A hugely influential work- the first album to convincingly fuse Rap and Metal- it is filled with fist-aloft, f***-you mandates. Killing in the Name is (the album’s) most famous statement: its expletive-heavy rebellion against police brutality and racism not only highlighted America’s ills (the corruption rife in society) but acted as a rally-cry for the masses- the disenfranchised youth had their signature tune. The album is synonymous with its guitar-and-voice by-play: Zack de la Rocha’s feral howl and Tom Morello’s insatiable guitar innovation were perfect partners- sound-tracking ten tracks of power and fury. Although the tracks do run on a bit- most of the songs are over the five-minute mark- there are few fillers. Wake Up is a woozy, dizzying and mutating beast- the range of guitar sounds/movements is exhilarating (even re-adapting Led Zeppelin’s Kashmir); its political messages insistent; Bombtrack is an explosive opener- “Burn, burn/Yes ya gonna burn” is its repeated promise. Although the album is profanity-laden, that language is never deployed with juvenile smuttiness or attention-seeking: it is a way to highlight the anger; emphasise the messages- make sure you remember every song. One of the finest albums (of any genre) it is a must-have for every music lover.